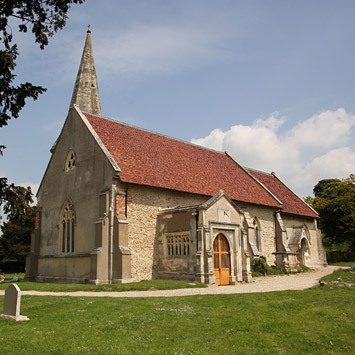 All Saints Church, Little Canfield is a pretty little 12th Century church with a small north tower. 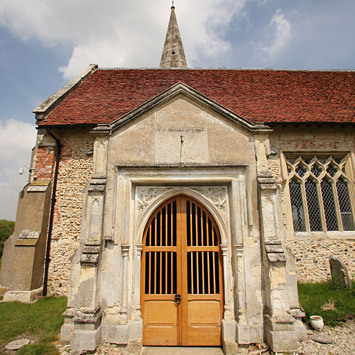 The Church lies at the end of a small lane and, subsequently, there are no other facilities, such as a kitchen or toilet, nearby. 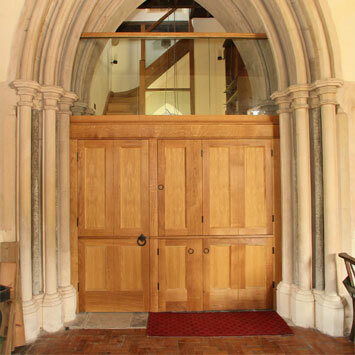 To allow this church to be more accommodating, we looked to see if these facilities could somehow be located inside the church in a sensitive manner. The north side tower provided the perfect opportunity, and we located an accessible and baby change WC in the base. 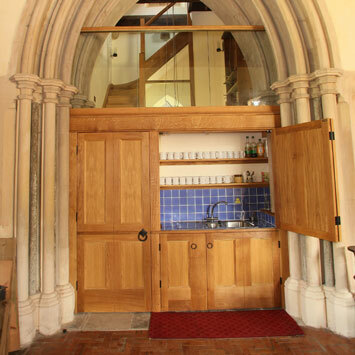 This was hidden and sound proofed by a small Kitchenette to the front, which could all be opened up or hidden away behind decorative oak doors. 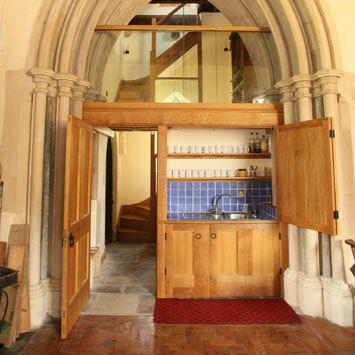 A small staircase was also hidden in the space to give access to a balcony floor to create a bell ringing chamber for the tower.